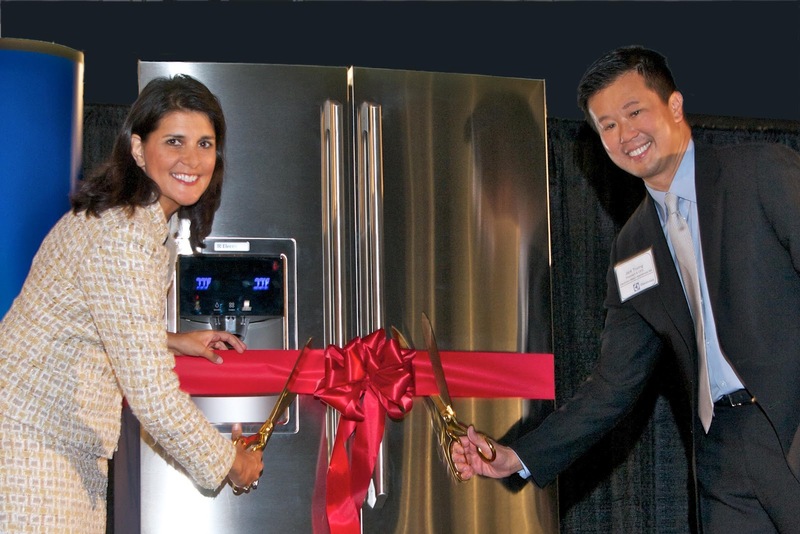 Throw open the refrigerator door – cool innovations are coming to the hot town of Anderson S.C.! Last week our team helped Electrolux celebrate the grand opening of its latest North American refrigeration research and development center. More than 250 people attended the grand opening celebrations including South Carolina Governor Nikki Haley, Electrolux Major Appliances NA President and CEO Jack Truong, news crews from NBC, CBS and FOX affiliates, and reporters from several local papers.The action-packed event included a press conference, ribbon cutting ceremony, plant tour and surprise community donation announcement. And just in case our busy day left guests a little parched, Electrolux freezers and refrigerators were stocked with “cool” ice cream treats and beverages for everyone to enjoy. Cheers to our friends at Electrolux on their new R&D facility!